Children are often described as having minds like a sponge that soaks up all of the information that it receives. In order to properly understand how our new, global society functions and why the interconnections are what they are, it helps to have a globe around though what an adult might find attractive in a globe and what a kid might be very different things. 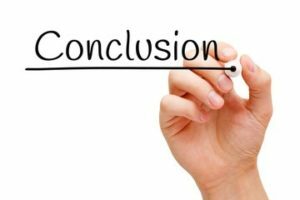 While it is always important to make sure that the globe is accurate, how much information is enough especially depending on the age of your child. On top of that, globes, like virtually every other product on the planet, is currently undergoing its own connectivity progression as more and more globes are not only interactive but are directly connected to the internet for some features. What is the Best Globe For Kids in 2019? As such, figuring out which one is the best globe for your kid can be a difficult and confusing task. That is why we have put together a list of the 6 best globes for kids, highlighting what each one does best. Then we provide you a helpful buyer’s guide, so you can find the best globe for kids to suit your needs. Shifu is definitely a bit of an interesting company in that it originated as one of the Kickstarter campaigns that ended up being fully funded. As such, you should feel comfortable with this product considering it is literally the reason that the company exists in the first place and is without question its specialization. That said, many companies on our list specialize in globes, but the Shifu was also created specifically to challenge the current paradigm of how we teach our children about geography. 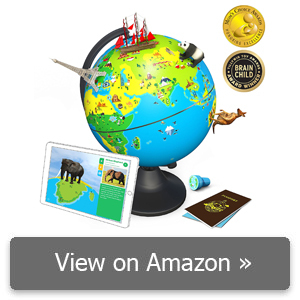 Because of this unique approach to learning, the Shifu Orboot globe for kids is actually our Editor’s Choice best globe for kids. By far one of the biggest issues with older technology like globes is that kids these days expect pretty much everything to be interactive. Taking this to heart, the guys at Shifu realized that the best way to provide intuitive interaction would be to make the Shifu Orboot globe for kids work with various types of augmented reality across different manufacturers. This way, the children can use a smart device which they are likely connected to 24/7 anyway to pull up interactive features. On top of that, this globe provides political boundaries, requiring the children to explore the globe based on their personal interests a better pedagogical method and is the only one we saw to do so. The Shifu Orboot globe for kids also has a robust app, though it is a bit difficult to use and is not compatible with many older models of smart device. Still, with a wide variety of puzzles and games, your children are sure to enjoy learning geography. USA Toyz is actually a new company that was founded in 2012, but in that short span of time, the company has exploded with a wide range of products designed to entertain children. Of course, since USA Toyz makes so many different types of products, it should only be expected that they do not specialize in globes exclusively however, this company does not even specialize in educational toys more broadly. That said, this company provides high-end products even if they are a bit more expensive that have unique features. By far the most interesting quality of the USA Toyz 3-in-1 globe for kids is the “3-in-1” part of the statement as this is not merely a standard globe. 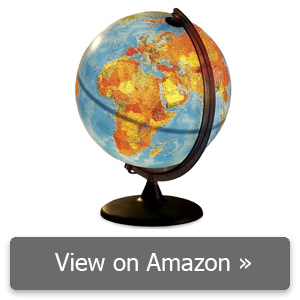 While this product is a 9” diameter globe with a political map, it magically transforms when out of the light. 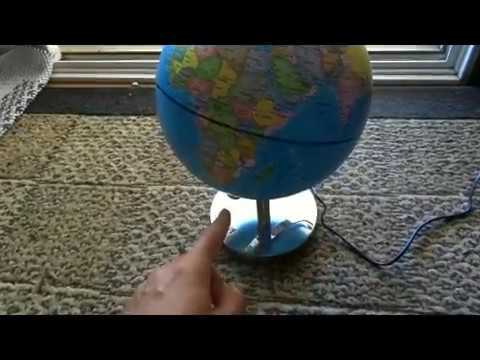 When in darkness, the USA Toyz 3-in-1 globe for kids is the only map that we reviewed which provides a second map designed to be used in darkness. Specifically, the USA Toyz 3-in-1 globe for kids is the only product we saw that not only provides a political map of the world but also provides a map of the nighttime constellations. 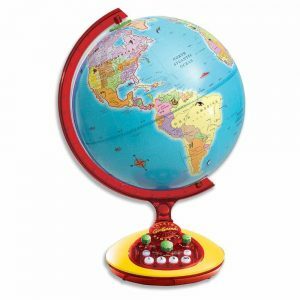 Because of this additional globe, the USA Toyz 3-in-1 globe for kids is the best educational globe that we saw. On top of that, the USA Toyz 3-in-1 globe for kids is also illuminated, so not only will the stars glow in the dark, but it can serve as a nightlight too. Of all the companies on our list, few of them are as new as Little Experimenter, though to be fair this is not an entirely accurate statement. This is because Little Experimenter is not actually its own company but is instead a brand of Bulk Unlimited, a Brooklyn company with 10 years of experience that actually owns a fair number of different toy brands. While this may seem to mean that Little Experimenters does not have a specialty, it turns out that this is the primary brand of educational toys within the Bulk Unlimited catalog. Whenever you are purchasing something for children, it is important to remember that they have much smaller hands and have not yet developed the level of fine motor control that adults have. As such, whenever you make a product for a young child it is important to make sure that the product is sized properly. Aside from the fact that an appropriately sized globe for kids makes it easier for them to handle, they are also far less likely to accidentally drop or break a globe that was made for their hands. As such, the fact the Little Experimenter globe for kids is ideal for younger children with an 8” diameter that is far easier for them to manipulate. This is why we believe the Little Experimenter globe for kids is the best globe for kindergarten. Though it may be a little less than three decades, Oregon Scientific is actually one of the older companies on our list at least, one of the more experienced companies that is actually its own company. Regardless, this brand has in short order developed one of the best reputations among the educational toys for children market. Of course, that only makes sense considering that this company specializes is making educational toys and has always done so. That said, this brand makes it a point to keep up with the times, which is why we named it our best interactive globe for kids. If you are looking for a globe to keep children entertained for an extended period of time, then you are going to have to give them something to do besides look at a colored sphere. This is where the Oregon Scientific Smart globe for kids comes into play with a wide variety of different types of interactivity. 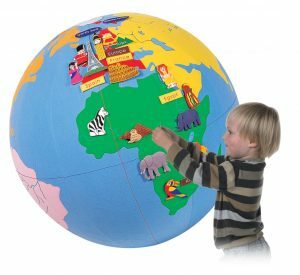 Specifically, this globe for kids has 19 different games and 2000 different pieces of information both of which are tops on our list. 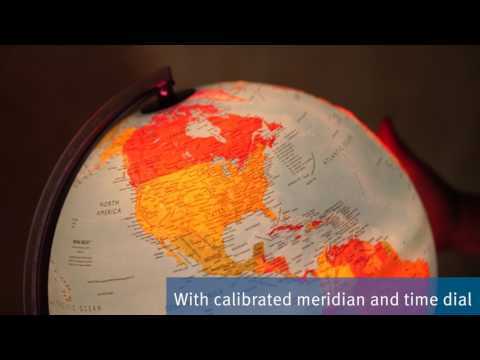 The Oregon Scientific Smart globe for kids also features a smartpen to make interacting easier that is also tethered to base to make sure it does not get lost. Finally, newer models of the Oregon Scientific Smart globe for kids also comes with additional augmented reality interactivity using the SmartGlobe app. HearthSong is definitely a bit of an odd duck of a company, but more for the path that its trajectory took more than anything else. To wit, HearthSong was founded in 1983 though it is one of the companies that we reviewed that does not specialize in educational toys for children though the brand does at least specialize in toys. The interesting thing about the HearthSong globe is that is was made in conjunction with one of the biggest and most respected globe manufacturers on the planet: Replogle. With an eye for detail, it should not be difficult to see why we rated the Hearthstone Orion globe for kids the best globe for adults too. While children are often easily distracted and require things like lights, sound, or interactivity to keep them interested, adults quite often have very different standards when choosing a globe. For one, adults are far more interested in the overall aesthetic quality of their purchase especially since globes for kids have a tendency to be bright and garish to keep their attention. Thankfully, the Hearthstone Orion globe understands this likely taken from the experience of Replogle and provides an amazingly detailed globe that is set in tasteful colors and base. On top of that, this one of the few globes that we saw at this price range anyway that provided a topographical map with 3D texture on both the land and water masses. Out of all the companies that we reviewed, none of them has as much experience as Educational Insights who can trace their storied history back over 5 decades. Even better, this is also one of the companies that we reviewed which specializes exclusively in making and selling educational toys. That said, this company might be the reason so much young blood is able to enter the market as this brand has not truly kept up with the times and does not even have products that connect to the internet. As such, this does limit the GeoSafari Jr. Talking globe for kids on their own time, which is why it is the best globe for elementary school. Once children begin elementary school, they are slowly introduced into the world of responsibility with stricter schedules and more assignments. As such, there is a good chance that when elementary school kids get to play with the classroom globe, they do not have a great deal of time to do so. That is why the Educational Insights GeoSafari Jr. Talking globe for kids made it a point to provide a couple of different game modes that light up and make noise. 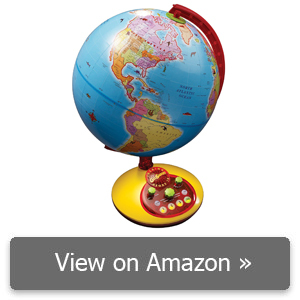 Thankfully, the Educational Insights GeoSafari Jr. Talking globe for kids understands that children are not the most advanced thinkers, so it also made sure that the Educational Insights GeoSafari Jr. Talking globe for kids is easy to use as well. Finally, the Educational Insights GeoSafari Jr. Talking globe for kids can even be enjoyed during class time as it comes with a 3.5 mm aux output jack for headphones. Geography can be a fun subject to learn, especially when children are given new and innovative ways for them to learn about the world. 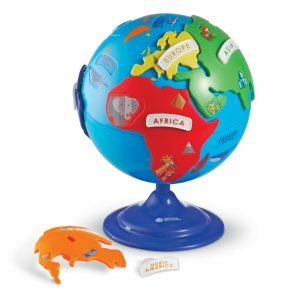 The Learning Resources Puzzle Globe is a great way to get your little one familiar with all seven continents and the oceans that surround them. It’s a puzzle, so the pieces are taken off the globe itself. See if they can find out which piece fits where on their own, showing them the names and pronunciations of each landmass. Soon, you’ll have an expert geographer in the house that’s eager to show you all the brightly-colored continents they attached to the toy. It would have been nice to see Antarctica as a detachable piece but the southernmost land of ice can’t be removed like the others. Furthermore, unless there’s group activity involving more than one child, some of your son/daughter’s peers may tire of the toy over a short period. It’s great as a teaching tool but probably won’t replace the louder objects they possess in their toy box. 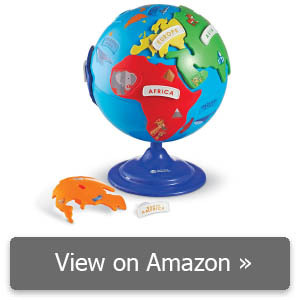 Nevertheless, the Puzzle Globe still earns points for its ability to put the young one step ahead in basic geography. For the most part, you likely know what to expect with a globe: there will be a sphere of some sort with images and potentially words on its exterior while a sturdy base holds the entire product upright. Beyond that, figuring out what separates one globe from another can be a bit tricky, though there are still plenty of features that differ from one to another. Of these features, by far the most important one for the best globe for kids will be interactivity, as this will often determine whether or not the globe is actually used or more of a decoration piece than anything else will. That said, there are different types of interactivity with globes these days, and the progression of technology only hints towards more in the future. For touch interactivity, we mean that the base, globe, or both have some form of touch action that will elicit a response. Quite often, this takes the form of telling the child some interesting fact about the world or potentially providing some form of a game that can generally be played either alone or with others. 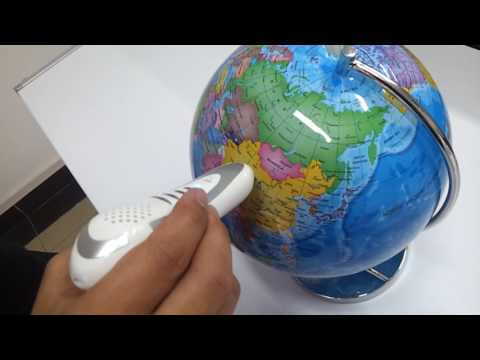 Some touch interactive globes for kids even go so far as to provide a smart pen. While their inclusion is not exactly commonplace, neither is the inclusion of an accompanying app too terribly rare either. Instead, many globes these days are including some form of an app that may or may not be able to link with the globe. These apps are quite often used more to provide supplemental information to complement whatever the globe itself tells you though there are plenty of apps that include game functions in themselves as well as an additional way to keep your child interacting with the globe. That said, even for the apps that can link with the globe directly, the overwhelming amount of interactivity that a “standard” app provides is often relegated to the “supplemental information” category. The future is now, and it seems like even educational toys for children are joining the cause though in this instance they may be the best market to do so. This is because while augmented reality may be neat, but quickly loses its luster due to limitations for adult purposes. That said, children have no such extended motivations and can be perfectly content using a smart device to explore a globe has augmented reality functions. It is worth noting that out of all the different types of interactivity available with globes that augmented reality has been shown to be the most effective at keeping children’s attention and entertained, but it is also the most hit or miss with manufacturers. As we can see, there truly is no globe for kids that is going to be the best in all situations especially if the globe in question is not even for your own children. In this case, it is probably a good idea to first figure out who the globe is for, as this will help inform your decision, as well as for what purpose it will be used. 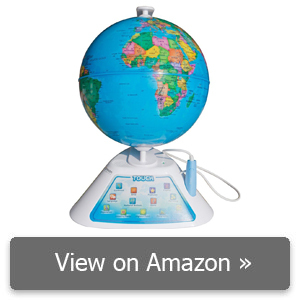 A classroom globe requires a very different set of features than a globe that you would want for your home. 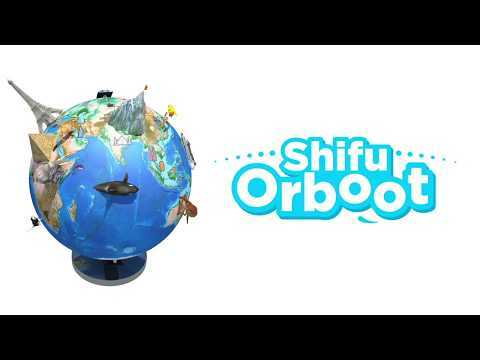 That said, there was one product, Shifu Orboot, that stood out above all the others we reviewed as the Editor’s Choice Best Globe for Kids. While it may not necessarily be the biggest globe for kids that we reviewed, it has a unique way of approaching geography that fosters independent learning and has even won awards. On top of that, this is one of the globes for kids that we reviewed which also features augmented reality as well as puzzles and games. 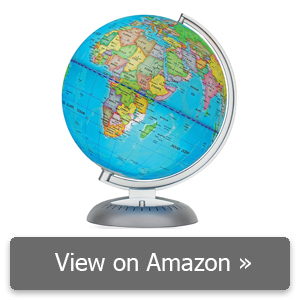 Of course, if you are purchasing a globe for your home as opposed for strictly educational purposes then you may want a globe that will satisfy both children and adults. 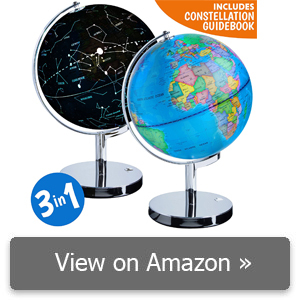 For this purpose, we recommend the HearthStone Orion globe. While this globe may not come with all of the interactive bells and whistles that some may, it does provide an exquisite illuminated 3D textured topographical map that is accurate to 1:42,500 natural scale. Comments for "Best Globe For Kids"